ABC's critically-acclaimed and award-winning reality show Shark Tank has announced the addition of another new Guest Shark: Drybar founder Alli Webb! Previously announced new Season 10 Guest Sharks include Charles Barkley, Matt Higgins and former Shark Tank entrepreneur-turned-Shark Jamie Siminoff. After his debut in the tank in 2013, Siminoff went on to sell his invention, Ring, to Amazon for over a billion dollars. Alli Webb is an entrepreneur, New York Times best-selling author and founder of Drybar. After spending 15 years as a professional hair stylist, Webb left the professional hair industry in 2005 to start a family but decided to find a way to continue pursuing the creative side of hairstyling at a new-mom pace. She began offering affordable in-home blowout services to her mommy friends, which quickly expanded into a mobile operation by 2009. In 2010, Webb opened the first Drybar in Brentwood, California. Eight years later, over 100 locations across the U.S., Webb's Drybar has exploded into a nationally recognized and highly sought-after brand. Webb has also diversified the Drybar brand, creating a line of products and tools sold at popular retailers such as Nordstrom, Sephora and Ulta. Webb has been named one of the "100 Most Creative People in Business" by Fast Company, featured on Fortune magazine's "40 Under 40" list, recognizing her as one of the top young businesswomen in the world and Marie Claire's "Most Fascinating Women." In July, Webb launched a podcast with her brother and business partner, Michael Landau, called "Raising the Bar," the latest extension of her ever-expanding empire. The weekly show provides a platform to budding entrepreneurs. It has been "A Decade of Dreams" for Shark Tank, and this year will be no different. The 10th season will also bring back powerhouse fan favorites, including Sarah Blakely, Bethenny Frankel, Rohan Oza and Alex Rodriguez. 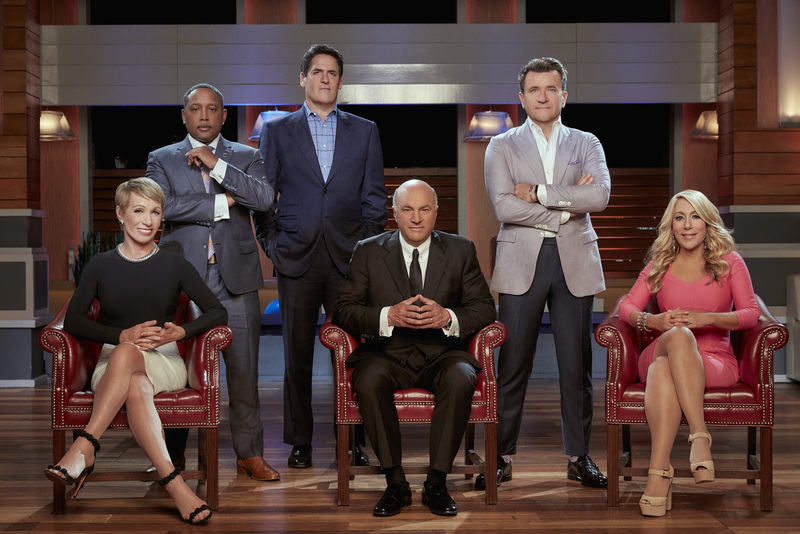 The Guest Sharks, who are icons and trailblazers in their respective business fields, will appear individually alongside Sharks Mark Cuban, Barbara Corcoran, Lori Greiner, Robert Herjavec, Daymond John and Kevin O'Leary in various episodes during the 2018-2019 season. Shark Tank, which received two 2018 Emmy nominations, returns to ABC for a memorable new season on SUNDAY OCTOBER 7 10|9c. The 10th season premiere, also the show's landmark 200th episode, will air at a special time, 10|9c on October 7, before moving to its regular time, SUNDAYS at 9|8c, on October 14. After all this time, Shark Tank and the Sharks are still inspiring entrepreneurs young and old to present the best businesses and products that America has to offer. The Sharks, including the new and returning Guest Sharks, will once again give people from all walks of life the chance to chase the American dream and potentially secure business deals that could make them millionaires.